"Egypt Business Directory is a brilliant initiative to leverage the business network in Egypt by being up to date on the latest news" Tohami said. Mohamed Tohami started his career as a motivational speaker in 2003; he has a bachelor degree in Telecommunications from Ain Shams University, a Diploma in Human Resources Management from Columbia Southern University, and received several trainings in the field of personal development. However, he is not a big fan of academic achievements, "I prefer to go after real life achievements and tangible results" Tohami said. When we asked Tohami how many books have you read throughout your life, he said "I stopped counting, but it is something around 300 books". Mohamed Tohami published his book "The Pharaohs' Code" in 2008 and was rated #1 Amazon best-selling motivational book in May 19th 2009. Jim Cathcart, an expert in Motivation and Sales, author of 14 books and one of the world's top award winning professional speakers, wrote the foreword of the book," it was like a stamp of approval from a big master to his student. For me, it was like a graduation from the world's top university. What credential could you receive more than a foreword from a big guru?" Tohami said. Tohami met with Jim Cathcart in 2007 on his tour to interview the world's top success and business gurus and to know the secrets of their success, and since that time their friendship started. "Motivational speaking is a show business. It is a unique form of edutainment (that's education + entertainment). You happen to be a motivational speaker when you master the stage performance to deliver a transformational message in a highly entertaining and engaging way. I believe that motivational/professional speaking is the #1 skill that should be mastered by our future leaders" Tohami said. "When we have more people doing what they truly love, Egypt will certainly become a better country. Nowadays, we don't need average performance. We need people who have come alive and are giving out their best. This is my mission in my latest project YallaPassion.com - helping corporate professionals in Egypt make more money doing what they love, so that they can transform their lives from making a living to making a difference" Tohami said. Mohamed Tohami's ultimate inspiration in life and role model is Prophet Muhammad, while in business, he has several role models on top of them is Jim Cathcart. Other role models are Stephen Covey (author of The 7 Habits of Highly Effective Peoplpe), Les Brown (The world's leading motivational speaker) and Steve Jobs (The Apple Legend). 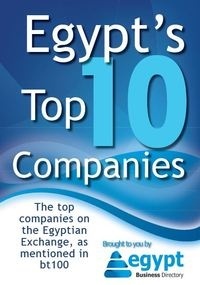 "Egypt Business Directory is a brilliant initiative to leverage the business network in Egypt by being up to date on the latest trends and news and getting connected with Egypt's top professionals and business gurus, we will be able to make smarter business decisions. In the very near future, it will be the ultimate go to place for getting updates on everything we need to know about the Egyptian business environment" Tohami said.